Awesome April Fools Party And Cool Items!! 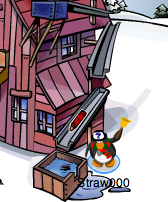 : ) | Club Penguin Cheats, Secrets, Guides & Giveaways! « Mimo777’s Buddy List Party Location!! : ) NOT SURE YET! 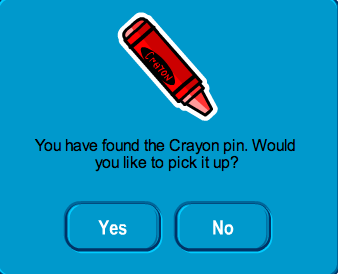 Let’s start with the pin. 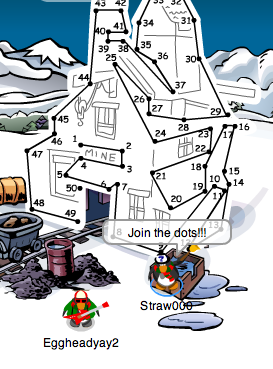 😮 You can get the Crayon pin by joining all the dots together at the Mine Shack. There are two really awesome free items. 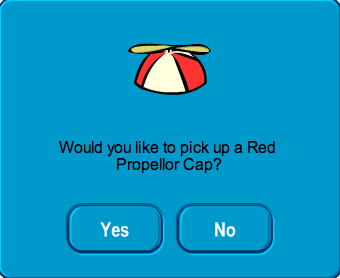 The second one is the Red Propellor Cap at the Ski Village! I think this party is better than lasts years!! Thx! But actually , I was looking forward to something that would make funny pics : ) But in the end I got 2-5 : ! What do you mean 2-5? 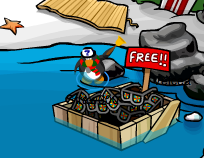 Look at the test servers… We ARE ALL GREEn PUFFLES! 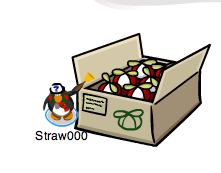 We aren’t penguins…we are all green puffles!!! 2 funny! We not only are green puffles but we can fly and ride a unicylce!! And so much more!!! Outstanding!!! how did you take those snapshots straw000?